The Tom Mayer Award for Community Service is named in memory of former County Commissioner Tom Mayer, who was committed to health and human services, limiting growth and preservation of open spaces. Mark Udall, in his 2007 tribute, said "with a big heart and never-ending compassion, he tirelessly fought for the underprivileged. Tom helped make Boulder County a better place for all of us." 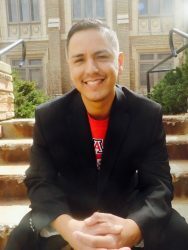 Angel was born and raised in Tucson, AZ and now resides in Longmont, CO where he has lived for the past 6 years with his amazing partner, Sonia Marquez and their three children: Luna, 2 months, Leo, 3 years and Lilyana, 12 years. He has been involved with the Boulder County Dems since he arrived in 2011. This work has been mainly around immigrant rights issues and GOTV efforts. He worked with Democrats in the city of Tucson in Arizona combating anti-immigrant laws such as SB 1070 (the show me your papers law) and fighting racist and hateful public servants such as Sherriff Joe Arpaio. 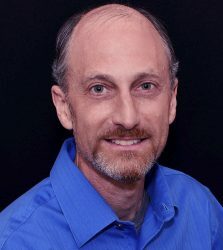 His roles and responsibilities with the party have recently increased as he has joined the Longmont Area Democrats board and will be working with the BCDP on Civic Engagement efforts moving forward. He hopes to expand his role within the BCD in the future. The most surprising experience I have had with the BCDP has been discovering how often and naturally the issues we fight for or against intersect. However, the most important part of my time working the BCDP is the leadership, strength, commitment, and passion of the members. I have been particularly in awe of the amazing women who have led the charge for so long - women that inspire me at every turn and who continue to teach me at every turn. The Give 'em Hell, Harry Award commemorates an incident during Harry Truman's 1948 Presidential campaign. During one of his speeches in which he was railing against his Republican opponents, someone yelled out "Give 'em Hell, Harry." He responded "I don't give them Hell. I just tell the truth about them and they think it's Hell." This award recognizes long-term service to the Boulder County Democratic Party. Joel has been involved in the BCDP for about 10 years. Before that, he served on the city of Boulder’s Parks and Recreation Advisory Board, managed a successful city council campaign, managed a successful state senate campaign, volunteered on other campaigns, served as an election judge, and completed several leadership training programs. The most impressive part of my experience as a BoCo Dem has been witnessing the dedication and commitment of other volunteers, especially those who give significant time year after year after year doing the detailed and often complicated work behind the scenes that makes this such a successful party. The Jack Major Award recognizes multi-year, exemplary volunteer commitment to the Boulder County Democratic Party. Jack Major was a beloved and highly respected professor of English literature at the University of Colorado in the 60's, 70's and beyond. He was perpetually doing volunteer work to build the county party in an era when Democrats were in the minority in Boulder. Literally hundreds upon hundreds of Democrats, young and old, cherished having him as a friend. As the daughter of German Immigrants, being a Democrat was part of Pat's upbringing and was always part of the dinner table discussions, especially with Father. Her parents arrived in this country separately and married during the Great Depression. “A Chicken in every Pot” was the Republican slogan and there was no chicken and not much of a pot for these two, so they became FDR Democrats. They moved from Chicago to Allenspark, Colorado, which was then a bastion of Republicanism, and Fawn Brook Inn was in their family for over 20 years. Volunteerism became a part of Pat's life because helping in the community was a way of becoming part of the community — this was true everywhere they lived. 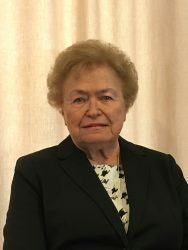 Her original career was teaching but being a volunteer gave her a chance not only to make a difference in education but to learn to be a manager in government. Pat began her work with the BCDP when she called and asked about an opening her precinct, which there was. From there she moved to caucus training & caucus, assembly, became a delegate to State Assembly — and she was hooked! Each small job led to a bigger one and, in the past year, she has had some really interesting volunteer jobs and has worked with some of best Democrats in Boulder County. She also has a seat on the Boulder County Advisory Council for the Office for the Aging — a very eye-opening experience. I will continue to volunteer for the foreseeable future because I do enjoy it very much and hope to continue to be a viable part of the BOCO Dems. The Josie Heath Award for outstanding Young Democrat is new this year. Best known for her inspiring leadership as the 21 year director of the Community Foundation, Josie also served as Boulder County Commissioner from 1982-1990, the second woman elected to the job. Before coming to Boulder County she served in the Carter administration as the Regional Director of ACTION, the federal agency for national service; taught at Harvard University's John F. Kennedy School of Government; and held a post as assistant to the director of the White House Office of National Service during the Clinton administration. Her long legacy of community service makes Josie an ideal inspiration to young Democrats and, as she said to the Daily Camera when she retired, "We just need to keep focused on the positive things, keep taking the risks to be pacesetters. I'm sure new folks will bring fresh ideas." 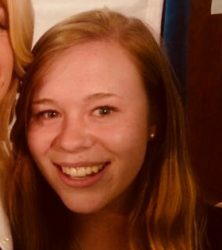 Katie has worked in politics since 2012 when she was a Field Organizer for President Obama's reelection campaign in her home town of Lafayette. Following that campaign, she worked as a Legislative Aide for Rep. Mike Foote for three sessions, as well as serving as his Campaign Manager in his 2014 reelection campaign. During the 2014 election, Katie also worked as the Finance Director for Joe Neguse's campaign for Secretary of State. In 2016, Katie ran a State House primary in North East Denver before returning home to Boulder County to manage the campaigns of Rep. Jonathan Singer and County Commissioner Deb Gardner. After serving as the Vice Chair for Capacity Building for the Boulder County Democrats, she is now the Field Director for Joe Neguse for Congress. I have been honored and amazed by the work that can be accomplished by friends and neighbors coming together, rolling up their sleeves, and doing the hard work of creating change in their communities. In all my experience as an organizer, Margaret Mead's adage rings true throughout, "never doubt that a small group of thoughtful committed citizens can change the world; indeed, it's the only thing that ever has.